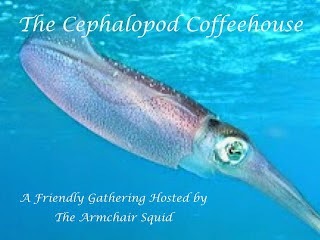 The Cephalopod Coffeehouse is an online gathering of bloggers who love books. The idea is simple: on the last Friday of each month, post about the best book you've finished over the past month while visiting other bloggers doing the same. In this way, we'll all have the opportunity to share our thoughts with other enthusiastic readers. Time seems to have eluded me this month where I have only managed to read four books and two short stories and one full length novel as a beta reader. The books have only been an average read in my opinion this month (apart from the beta reading which is due out early in November). My choice this month is actually a short story because it was the story and writing that grabbed me the most and I have given it a 4* review. Luke Winters has spent his whole life straddling two worlds, Lakota and White, belonging in neither. He isn't complaining. He feels richer for the twin heritages and for the struggle to be an authentic human being. He has learned to accept himself whether or not he is accepted by anyone else. Enter the murky, dangerous world of a Native American Noir thriller with undercurrents of forbidden love. A meld of Romeo & Juliet and The Godfather as seen through the eyes of a disgraced Lakota psychologist back in his home town. The woman he has loved all his life has become the feared Donna of the crime family which controls the state. She has mastered all her enemies but one -- the disease that is now killing her. As she fights rival crime bosses sensing her weakness, can the psychologist save her from herself? And at what cost to himself? A short story that keeps you turning the pages, full of nuances, myths and legends from a Lakota heritage trying to live in a modern day, white man’s world, successful in his chosen profession until he is disgraced and brought down unfairly. Happy as a human being, even after losing his reputation or perhaps in spite of it, Luke returns and discovers the love that was forbidden as a young couple is still alive but now can never be. Drawn into the characters lives and those of past generations, this book will keep you engrossed until you turn the last page. That sounds like fun. I love the idea of a story drawing from the experiences of past generations. Ahh - this must be one of the stories that prompted that gruesome croquet incident in one of your stories. 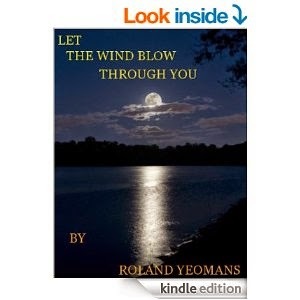 Best wishes to Roland and Let The Wind Blow Through You! Wow! This sounds so interesting...I hardly ever read short stories, but when I do I remember that I really like them. Great pick! I have this one on my Kindle but haven't gotten to it, yet. Sounds like he packed a lot into a short story!